This small timber and fishing community sits on the northern tip of Wrangell Island near the mouth of the Stikine River-North America's largest undammed river. 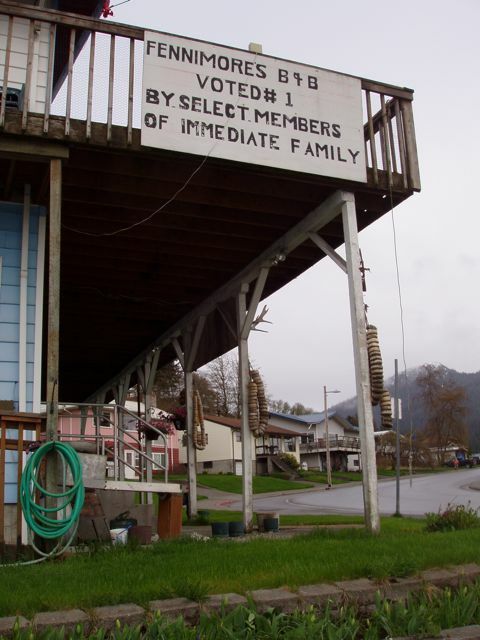 Wrangell is unique in that it is the only Alaskan community to have been governed by 4 nations: Tlingit Nation, Russia, Britain, and the United States. Today, it is a growing tourist destination filled with outdoor attractions, including Chief Shakes' Island, Anan Bear and Wildlife Observatory, and Petroglyph Beach. The people are wonderfully nice and the town is lovely. The history lends a gravitas that younger communities cannot have. After our boat projects were complete, the weather gods provided an afternoon of some sun and warmer temperatures. We had the time and took advantage of it. 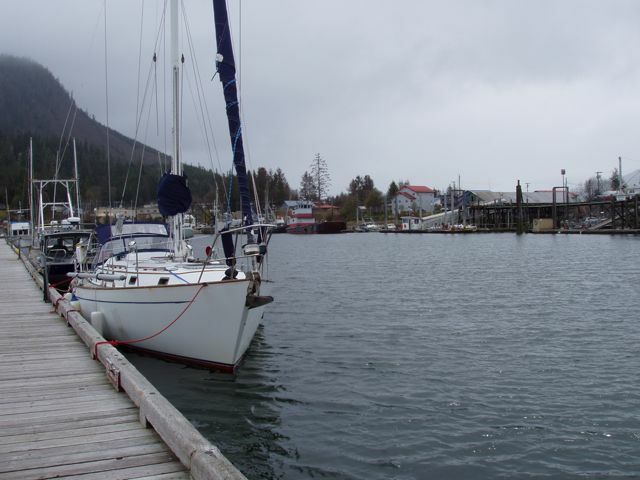 We must give a shout-out to the great people at the Wrangell Harbormaster's office. Steve operated the Travel Lift with a deft hand. Joe can shuffle cards with a skiff. LaDonna is the office staff and is a no-nonsense, take-charge kind of person. What a character! Wings lying to the Wrangel transient dock. A great example of a grid. At high tide, the vessel moves alongside the dock. 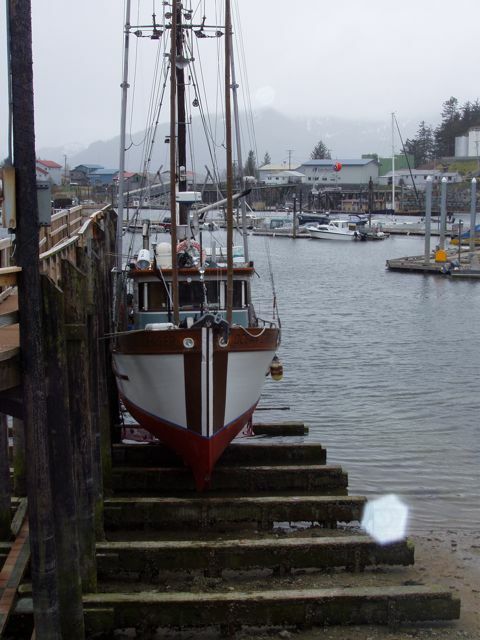 As tide water recedes, the boat is left high and dry and ready for work. 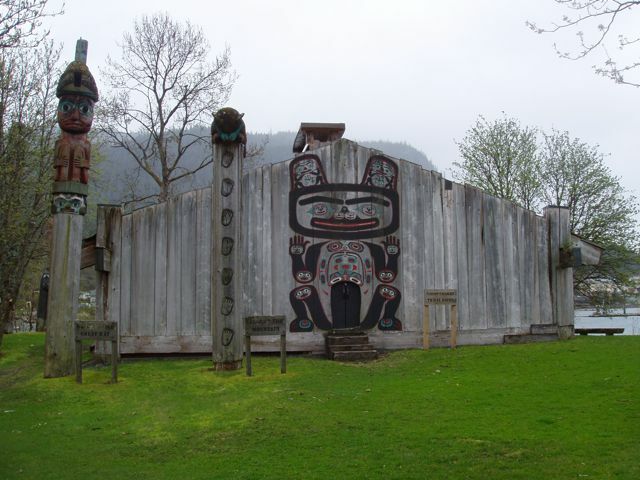 The tribal home of Chief Shakes of the Tlingit Nation. The home is located on Shakes Island, in the Wrangell harbor. I hope that they were short! 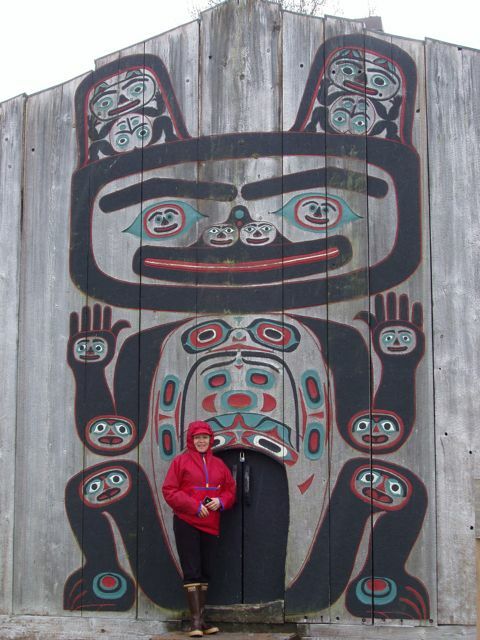 Conni standing in front of Chief Shakes' front door. Exquisite woodwork. Birdman? 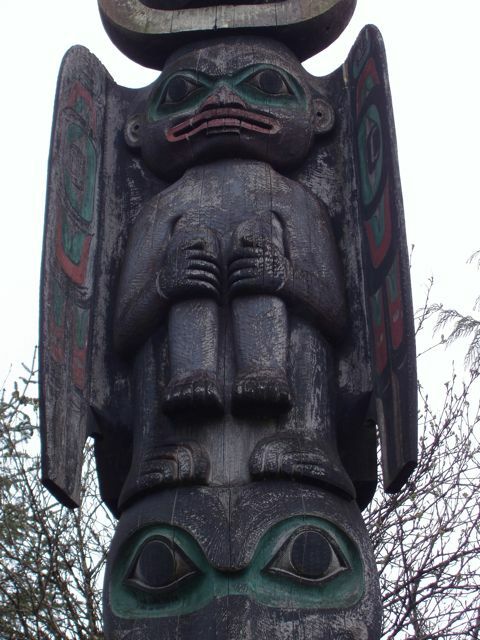 A character on one of Chief Shakes' totem pole in downtown Wrangell. 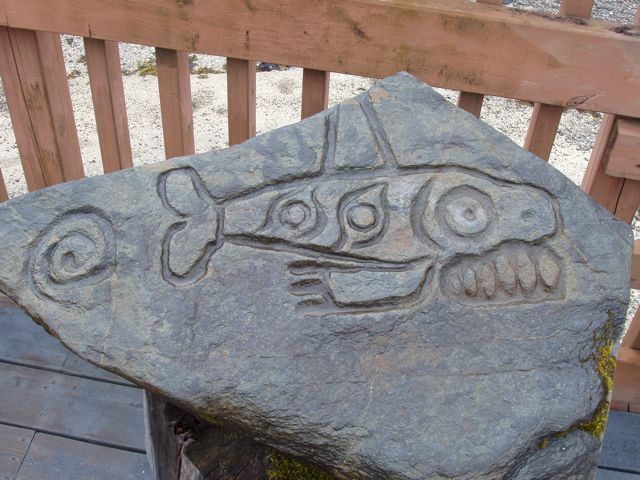 Wrangell makes the Tlingit history a proud part of its own tradition. 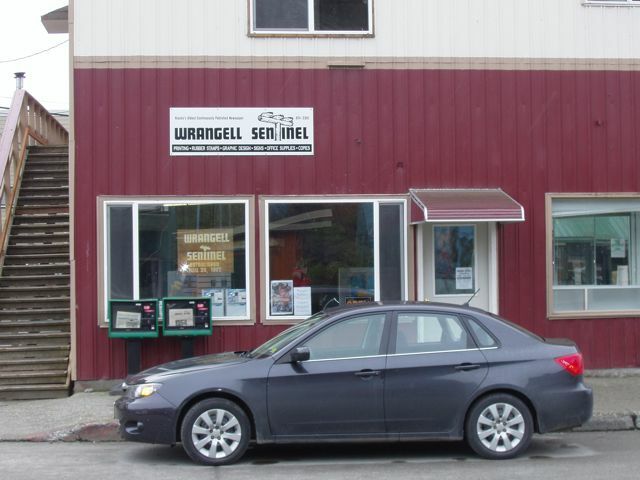 The Wrangell Sentinel is the oldest continuously printed newspaper in Alaska. 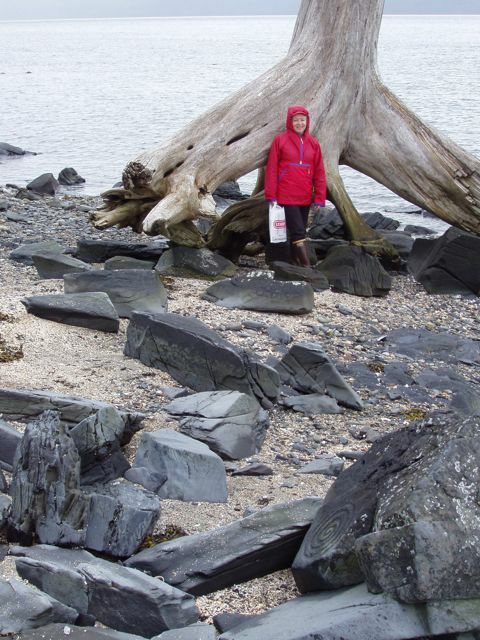 Beautiful Conni at the Petroglyph beach. 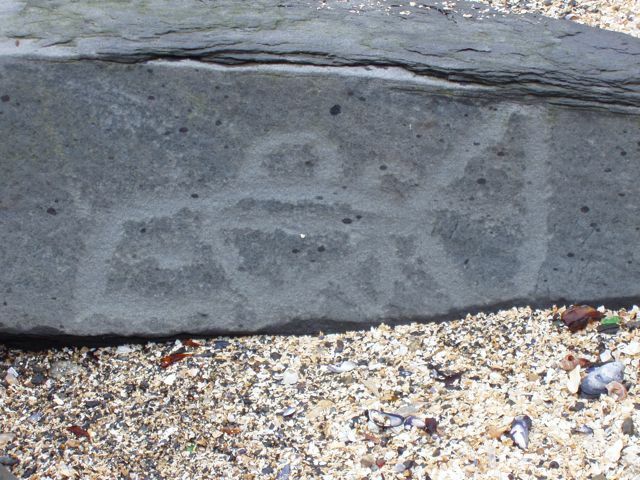 Beautiful petroglyph of an...Orca, perhaps. No one knows how old these images are, nor who made them. There is no Tlingit oral history of them, so it can only be surmised that the creators of these haunting images were pre-Tlingit. 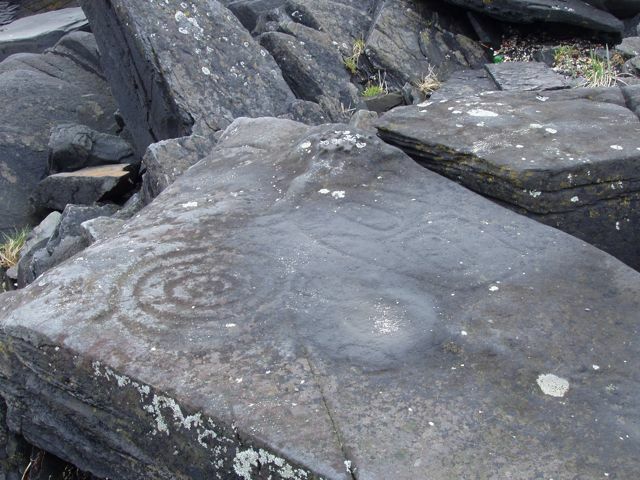 All of them were carved below high water, so they are covered in seawater for half of the day. It took many days to carve each. It is not known, of course, what the contextual meaning was. Fascinating. 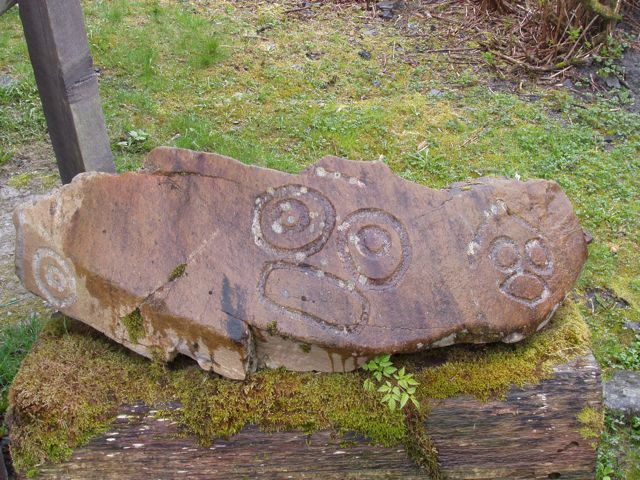 A rock covered in petroglyphs. 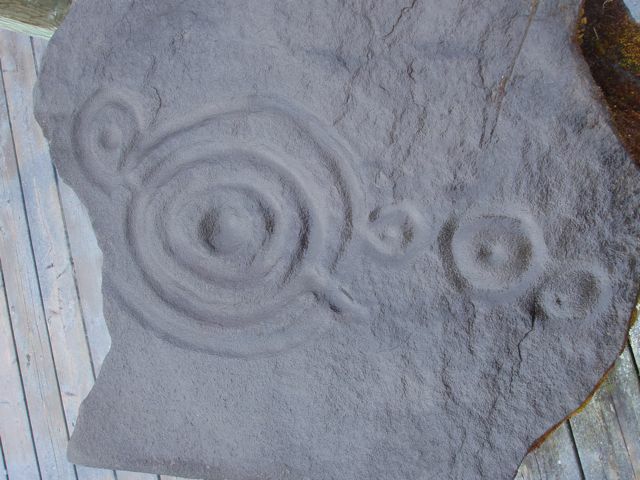 There is a pair of "eyes" and a spiral. Compelling but totally foreign and bizarre. An unmistakable spiral. 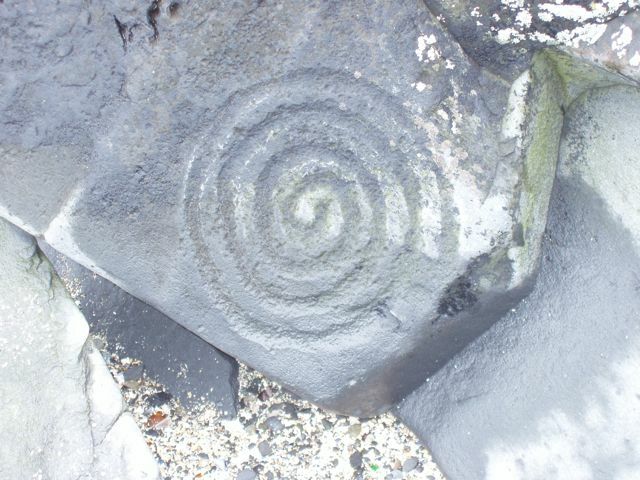 What did a spiral mean to someone just over the Bering Sea land bridge? The "eyes", since no one can guess any other meaning. Human? Creature? God? Who knows. We didn't stay there so cannot comment on the truth of their advertisement.